iJustice is a public interest law firm, an initiative of the Centre for Civil Society, New Delhi and Atlas Economic Research Foundation, USA. We use strategic litigation and advocacy by representing litigants whose fundamental rights have been abridged by any action of the government. We take up cases and issues which apart from having an impact on the lives of litigants, would have the ability to advance individual liberties and the rule of law; and set precedents on the limits of constitutional powers exercised through state action. In addition to litigation support, iJustice advocates legislative reforms and support capacity building of grassroots activists, lawyers, judges, law students and legislatures in the appreciation of liberal ideas. Right to livelihood: Barriers, in the form of laws and state policies, faced in various sectors, which curb the realization of the right to livelihood and consequently attaining economic freedom. Here, we are particularly focusing on street vendors and the agriculture sector. Right to Education: Disparity in recognition norms for government schools on the one hand and low-budget private schools, being contrary to the object of the Right to Education Act. Freedom of speech and expression: Research and analysis of criminal provisions under various laws which impede upon the fundamental right to speech and expression. Right to Information: We are exploring ancillary areas, such as, expanding the scope of Section 4 of the Right to Information Act. 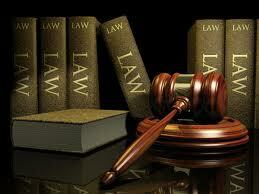 Other areas: We are open to taking up issues in keeping with the philosophy of iJustice. A-69 Hauz Khas, New Delhi 110 016, India.